In the literature of the history of astronomy, as well as in literature in general and in the folklore of different countries, one meets claims that from the bottom of a deep well, or with the help of some other equivalent structure, stars become visible in day-time. In many cases, the statements are general and anonymous, originating usually with well diggers, chimney sweepers, and miners. In other cases they are more definite and specific; they are connected with a particular place, person, and sometimes with an observatory. Several articles written on the subject have come to my attention, but no comprehensive monographic study of the subject seems to be in existence, most works of any detail being usually devoted to the refutation of a single case. I am not prepared to give an exhaustive treatment of the subject. I have been impressed, however, by the recurrence of the question in connection with a number of observatories, arid it is my intention to draw attention to this fact and to the possibility that this subject may be more substantial and worthy of more careful consideration than the rather casual references to it tend to indicate. The problem is an old one. It was known already to Aristotle , and Pliny also knew about it. Pliny states that stars become visible in day-time during eclipses of the sun and in the reflected images of the sky as seen in very deep wells . Cleomedes tells us that the sun appears larger when seen from the bottom of deep cisterns because of the darkness and moisture of the air . A detailed medieval monograph in Arabic, by Abû ‘l-Barakât al Baghdâdî (d. after 1165), on the theoretical explanation of the cause of the obscurity of the stars during day-time is extant. Here the illumination of the part of the atmosphere immediately above the observer is held responsible for the obscurity of stars in day-time . Leonardo da Vinci too explains this question in a somewhat similar fashion. He says: "The stars are visible by night and not by day, because we are beneath the dense atmosphere, which is full of innumerable particles of moisture, each of which independently, when the rays of the sun fall upon it, reflects a radiance, and so these numberless bright particles conceal the stars; and if it were not for this atmosphere the sky would always display the stars against its darkness ." Figure 1: An Armillary sphere (dhât al-halaq) located at the Istanbul Observatory founded by Taqi al-Din al-Rasid. Shahinshahnâme, Istanbul University Library, F. 1404. The statements of Abû ‘l-Barakât, and to a smaller extent those of Cleomedes and Leonardo, would seem to be in agreement with or even inspired by the claim that from the bottom of a well or in a tall tower, which would prevent the illumination of a portion of the atmosphere immediately above the observer, stars become visible in day-time. Neither Abû ‘l-Barakât nor apparently Cleomedes and Leonardo make any reference, however, to "observation wells." Roger Bacon knew about the visibility of stars from the bottom of wells in day-time , and the phenomenon was apparently well-known in Islam. For several Islamic examples on the subject are found, and though our information concerning them is usually brief and vague, all these Islamic examples of "observation wells" are allegedly connected with either well-known astronomers or with observatories. It is claimed by the inhabitants of Maragha, in the north-west of Persia, that the famous Maragha Observatory (founded ca. 1259) contained an "observation well" and that this well was utilized for day-time observations by Nâsir al-Din al Tûsî, the first director of the Observatory . Only one rather feeble source testimony confirming this popular tradition has come to my attention . There were caves underneath the observatory hill, but they do not, so far as is known, form any vertical well, and the mode of their utilization is a matter open to conjecture . It may be that the "observation well" in this case is a mistaken reference to the caves. The Jaja Bey Madrasa of Kirsehir, Anatolia, (founded in 1272) was used as an observatory according to local tradition which claims that previously an "observation well" was in existence directly underneath the circular hole of the dome of the madrasa building and that this .device was intended to serve for day-time observation of stars. A small-scale excavation has corroborated the claim of the existence, of a well , and other considerations may be adduced which make the other particulars of the claim also seem rather reasonable. There is no conclusive evidence, however, that the well was built or utilized as an "observation well". The water-bearing level was found at a depth of about seven meters. As this probably represents the original state of the well, it tends to give one the impression that the well was not an "observation well". Apparently, however, "observation wells" need not have been dry. For claims of the observation of the reflected image of the sky in the water of the wells exist at least on two occasions, both of which are mentioned in this paper. It is interesting to note that during the latter half of the thirteenth century several stars - of greater brightness were very close to the zenith of both Maragha (N. Latitude 37° 22') and Kirsehir (N. Latitude 39° 9') — l Andromedae (2.28 magnitude), b Persei (2.2m) e Persei (3.96m), a Lyrae (0.14m), and l Cygni (2.32m) in the case of Marâgha, and l Andromedae (2.28m); b Persei (2.2m), a Lyrae (0.14m), l Cygni (2.32m), and a Cygni (I-33m) in the case of Kirsehir . The third Islamic example is somewhat more substantial that the Istanbul Observatory (founded ca. 1579) actually did contain an "observation well" (or tower) finds confirmation in certain Turkish and European sources . As the Observatory was demolished soon after its foundation, however, perhaps no observation was ever made, or attempted to be made, from its well. At the time, the stars g Andromedae (2.28m) a Aurigae (0.31m), b Aurigae (2.3m), a Canum Venaticorum (2.90m), a Lyrae (0.14m), and a Cygni (1.33m) were directly overhead-the Istanbul sky (N. Latitude 41° 3') . According to Evliya Chelebi, famous traveller of the seventeenth century, the astronomer Ali Qushji, contemporary of Ulugh Bey (d. 1449) and Muhammad the Conqueror and co-worker of the former, had an "observation well, in Istanbul" , and a local tradition of approximately the same nature is said to still persist. This is perhaps a distorted reference to the above-mentioned well of Taqî al-Din in the Istanbul Observatory. For the location of both are exactly the same. Two other examples are reported, one in the Samarqand Observatory of Ulugh Bey, which, again brings to mind the name of ‘Ali Qushji, and one in the vicinity of Cairo in the sixteenth century belonging to the above-mentioned Taqî al-Din . 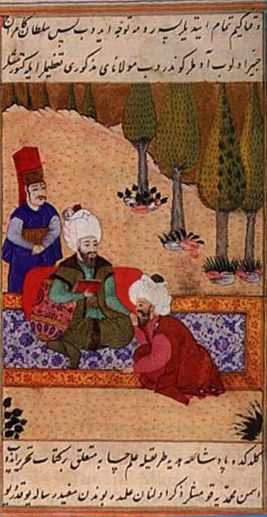 Figure 2: Ali Qushji presenting his book al-Fathiyya to Mehmed the Conqueror. From Terjuma-I Shakaik al-Numâniye, Topkapi Palace Museum Library, MS Hazine 1263, fol. 113. In Europe the tradition of the "observation well" was kept alive for a long time, and different examples of interest are encountered in the literature. Here again, examples of "observation wells" connected with observers or observatories are available, and although our information concerning them is generally superficial and vague it is nevertheless quite relevant and capable of throwing some light on our very obscure and little known topic. In 1630, Schemer says that, according to "observers" and students, stars were visible in day-time from the bottom of a very deep well in Coimbra, Portugal, and that according to a trustworthy person, stars were clearly seen reflected even at noon in the waters of deep wells in Spain . Erhard Weigel (1625-99), court mathematician of Duke Wilhelm IV of Saxe Weimar and professor at Jena University, built a sumptuous house at Jena in 1667. The flat roof of this house was an open-air observatory, and a slanting tube was built into the wall of the staircase making possible the day-time observation of stars . Figure 3: The miniature of the Istanbul Observatory well. The Paris Observatory (founded in 1667-75) building was cut through by a vertical hole which, together with its extension in the caves below, formed a well of about 55 meters' depth. It is said that Cassini, shortly after the foundation of the Observatory, considered the possibility of its use for day-time observation of stars, as one of the bright stars of the constellation Perseus, he said, would come within the field of view (about 1°) of the well in approximately forty years. He seems to have used the well himself. For he took measures to shield the vertical hole from light coming through the windows of the building and caused the construction of another well in a more secluded section of the building, but apparently no systematic day-time observation of stars was made from these wells. Perhaps the development of new astronomical instruments rendered superfluous and out-of-fashion the laborious procedure of going down the bottom of a deep well in order to observe a very limited portion of the sky. A rumour exists, however, that a janitor of the Observatory made some money for himself by admitting outsiders into the well and showing them stars in day-time. There is a claim that this must have been due to light seeping through some crack which must have disappeared by itself depriving the janitor from his extra income . 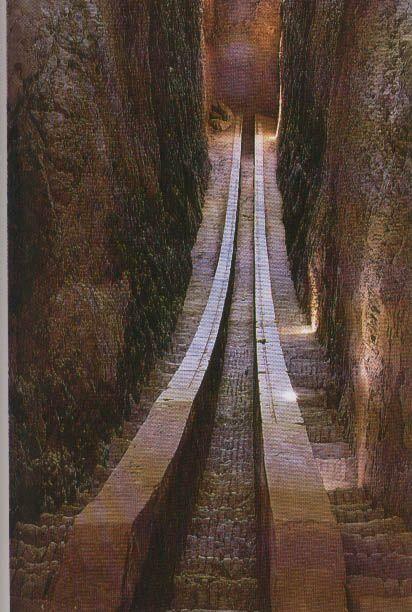 The Kremsmunster Observatory in Austria, founded in 1748, contains a well, 59 meters deep, which is said to have served as an "observation well". The Observatory was built in the form of a massive tower within the grounds of the Benedictine Convent of Kremsmunster . A letter of A. Reslhuber, director of the Kremsmunster Observatory, concerning the well, has been published (1868). Reslhuber is very sceptical about the matter, and, as, confirmation of his doubts, states that the cross-section of the field of vision from the bottom of the well is only 49' 24" and that none of the three prominent stars which come closest to the zenith are close enough to it to fall within that narrow field . Reslhuber considered only the declination of the stars in his own time, however, and this is really quite irrelevant. For it is seen that among the stars mentioned by him a Persei was undoubtedly within the field of vision at earlier, years, most likely during the years just prior to the foundation of the Observatory . Figure 4: Sextant in Ulugh Beg Observatory, Samarqand. After the enumeration of these examples of "observation wells" connected with observatories and astronomers, I would like to draw attention to the fact that in its actual state the subject of the day-time observation of stars from wells or similar structures is of a two-fold nature. One is a purely scientific question, viz., the question of the possibility of the daytime observation of stars with the naked eye under special conditions of illumination. The other aspect of the question falls more strictly within the scope of the history of science and is based on the records concerning popular traditions as well as on the more factual cases and testimonies. It would be rather strange that this tradition should have persisted for such a long-time and in a pretty wide-spread fashion if it had no factual basis. And though some effort has been made to discredit the reports, I have not found any convincing refutation of the phenomenon. I have dealt with the Kremsmunster case in some detail. Alexander von Humboldt says that the chimney sweepers contacted by him have never seen stars by day-time, and adds that neither he himself nor anyone else among the miners he questioned in Mexico, Peru, India, and Siberia have ever witnessed this phenomenon from the bottom of deep shafts . Among still others, J. C. Houzeau, in a general manner, and R. Wolf, in a more specific way, have expressed their scepticism concerning the matter. Houzeau considers it likely that the whole matter may lie within the realm of pure fancy and illusion , and Wolf takes in hand the example of the wells of Bex in order to refute it. There is a written record concerning the visibility of stars at midday from a depth of 220 meters at the bottom of the wells of Bouillet in Bex, Switzerland . Wolf considers this case and arrives at a negative answer , but his result, does not seem to be conclusive at all. Figure 5: The vertical sundial at the Mihrimah Mosque in Uskudar Made by Darwish Yahya Muhyi al-Din in 1183/1770 (© Salim Aydüz). At present the scientific aspect of the question must be considered as undecided, although in addition to recurrent popular traditions and the above-mentioned examples of "observation wells" connected with observatories, other concrete cases of positive testimony are not lacking. A few such cases may be mentioned here. One is the case of a "famous" optician (Troughton? ), whose attention was drawn to astronomy by the regular appearance of a star through his chimney in day-time, as related by John Herschell . Another positive testimony comes from Ferdinand Carpentier of Zurich who, as a ten or twelve year old child, saw stars in day-time from the bottom of a well of about 90 feet depth. This was near Magdeburg and was done in order to check on the statement of another child of about the same age . Thus, in spite of the doubts expressed by various scholars and scientists, it is difficult to consider the alleged phenomenon, i. e., the day-time visibility of the stars to the naked eye under special conditions of illumination, as one without any factual foundation. Apparently, the claim would be theoretically acceptable if it were established firmly as an observed fact . An official verification with the help of scientifically conducted observations is lacking, however, and would be very desirable . For, as we have seen, there exist definite examples of objections raised and scepticism expressed by well-known astronomers and men of science in general, even though some astronomers may accept this phenomenon as an observed fact. It would seem that in arranging a test of this kind certain possibly relevant physiological and psychological factors may have to be taken into consideration. For in addition to the claim that nothing but popular prejudice, pure fancy, or illusion may lie at the bottom of this claimed observation, it has also been suggested that possibly only the eyes of certain people may be strong enough to make the observation in question successfully . It should be added that although such wells were connected with observatories, there is no evidence that such observations were systematically made and utilized by astronomers. Such records may possibly exist, but if so, apparently none has as yet come to light. We seem to be confronted here with a very little known medieval technique of astronomical observation, at least a theoretical or imaginary one. Only future research can show whether it was ever carried out in practice or actually applied in any systematic way. The manner in which the results of such observations were, or were intended to be, utilized is therefore also a matter open to conjecture. One could easily venture to guess, however, that such observations could be very useful in connection with time determinations and especially for the correlation of the coordinates of the stars with those of the sun, and this correlation is of course a very useful and important one for research in astronomy. In fact, very soon after the invention of the telescope, day-time observation of the brighter planets with the help of the new instrument were made and utilized for exactly this purpose . Arago, F., Astronomie Populaire, vol. I, Paris 1834. Bigourdan, G., Histoire de I'Astronomie d'Observation et des Observatoires en France, Paris 1918, p. 22-23. Eisler, Robert, "The Polar Sighting-Tube", Archives Internationales d'Histoire des Sciences, No. 6 (vol. 28), 1949, p. 313. Evliya Celebi Seyahatnâmesi, ed. A. Cevdet, Istanbul 1314 H.
Houzeau, J. C., Vade-Mecum de VAstronome, Bruxelles 1882. Ibni Sina, Publications of the Turkish Historical Society, series vii, No. 1, 1937. Koprulu, Fuat, "Maraga Rasathanesi", Belleten, vol. 6, 1942, p. 208 ff. .Krause, Max, "Stambuler Hand-schriften Islamischer Mathematiker", Quellen und Studien zur Geschichte der Mathematik, Astronomie und Physik, Abteilung B, vol. 3, Berlin 1936, p. 437-532. Neugebauer, P. V., Tafeln zur astronomischen Chronologie, vol. 1, Leipzig 1912. Reslhuber, A., "Die Sichtbarkeit der Sterne bei Tage Betreffend", Sinus, vol. 1, 1868, p. 63-64. Richter, J. P., .The Literary Works of Leonardo da Vinci, London 1883, vol. 2, p. 911. Wiedemann, E., "Über die Grunden warum die Sterne bei Nacht sichtbar und bei Tag verborgen sind", Eders Jahrbuch fur Photographie, Halle a. d. s., 1909, p. 49-54. Wilson, Samual Graham, Persian Life and Customs, 1895. Wolf, Charles J. E., Histoire de l' Observatoire de Paris de sa Fondation à 1793, Paris 1902. Wolf, R., "Über das Sehen der Sterne aus Tiefen Brunnen", Vierteljahrsschrift der Naturforschenden Gesellschaft in Zurich, vol. 20, 1875, p. I79-180. Wolf, R., "Uber das Sehen der Sterne bei Tage aus Tiefen Schachten", Mitteillungen der Naturforschenden Gesellschaft in Bern, Bern 1851, p. 159-161. Generation of Animals, book 5, ch. 1; J. C. Houzeau, Vade-Mecum de VAstronome, Bruxelles 1882, p. 852; Robert Eisler, "The Polar Sighting-Tube", Archives Internationales d‘Histoire des Sciences, No. 6 (vol. 28), 1949, p. 313. My attention was drawn to Eisler's article by Prof. Sevim Tekeli. F. Arago, Astronomie Populaire, vol. I, Paris 1834, p. 302-303; Eisler, p. 324, note 13. Eisler, p. 324, note 13. Abû ‘l-Barakât wrote this booklet as an answer to the query in question which was brought up by the Seljuq ruler Giyâth al-Din Muhammad ibn Malikshâh. A German translation of it has been published by E. Wiedemann (Über die Grunden warum die Sterne bei Nacht sichtbar und bei Tag verborgen sind", Eders Jahrbuch fur Photographie, Halle a. d. s., 1909, p. 49-54.) In some of its extant manuscripts, this work has wrongly been attributed to Ibn Sînâ (this is chronologically impossible), and a Turkish translation of it, as a work-of Ibn Sînâ, has been published (in Ibn Sina, Publications of the Turkish Historical Society, series vii, No. 1, 1937, 4 pp.) See also, Max Krause, "Stambuler Hand-schriften Islamischer Mathematiker", Quellen und Studien zur Geschichte der Mathematik, Astronomie und Physik, Abteilung B, vol. 3, Berlin 1936, p. 437-532. J. P. Richter, The Literary Works of L‘eonardo da Vinci, London 1883, vol. 2, p. 911. Samual Graham Wilson, Persian Life and Customs, 1895, p. 77. The unknown editor of the unpublished Âlât-i-rasadîya li-zij-i shahinshâhîya of Taqî al-Din (MSS. Kutahya City Library, No. 932; Topkapi Palace-Museum Library, No. Hazine 452) transmits with some hesitation second-hand information that "observation wells" were in existence at the Marâgha and Samarqand Observatories and that they were used for astronomical observation. See, e. g., Fuat Koprulu, "Maraga Rasathanesi", Belleten, vol. 6, 1942, p. 208 ff. See, A. Sayili and W. Ruben, Belleten, vol. 11, 1947, p. 673-91. The zenith distances of these stars for the latitudes and centuries concerned were computed by Dr. Zaitschek of the Hebrew University of Jerusalem. See, J. H. Mordtmann, "Das Observatorium des Taqî ed-din zu Pera", Der Islam, 1923, vol. 13, Heft 1-2, p. 82-86. Evliya Celebi Seyahatnâmesi, ed. A. Cevdet, Istanbul 1314 H., vol. 1, p. 443. Here the term "munejjim Quyusu" (astrologer's or astronomer's well) is used. The above-mentioned editor (footnote 8) mentions it, says it was 40 arshin (ca. 25 m.) deep, and also states that a ladder was placed in it, but adds that Taqî al-Din found it to be of no use. He is also sceptical, in general, about the advantages of this observational technique. Ail examples show that "observation wells" were quite deep. The water level of a long unused well of a mosque not far from the site of the Istanbul Observatory of Taqî al-Din and situated further down the hill, is at a depth of about 35 meters. Arago, ibid., p. 203; Houzeau, p. 852. Charles J. E. Wolf, Histoire de l' Observatoire de Paris de sa Fondation à 1793, Paris 1902, pp. 54-55. A. Reslhuber, "Die Sichtbarkeit der Sterne bei Tage Betreffend", Sinus, vol. 1, 1868, p. 63-64. Taking the latitude of Kremsmunster as 48° 3', a Persei should be visible during parts of the sixteenth and seventeenth centuries (see, P. V. Neugebauer, Tafeln zur astronomischen Chronologie, vol. 1, Leipzig 1912, p. 29). This may have had some influence in the choice of this particular site for the Observatory. Eisler, p. 326, note 16. See also, Houzeau, p. 852-53. Op. cit., p. 852. Others too, e. g., Etienne Arago, have expressed similar opinions. See C. Wolf, ibid, p. 55. R. Wolf, "Uber das Sehen der Sterne bei Tage aus Tiefen Schachten", Mitteillungen der Naturforschenden Gesellschaft in Bern, Bern 1851, p. 159-161. F. Arago, ibid., p. 203; Houzeau, p. 852; Eisler, p. 326, note 17. R. Wolf, "Über das Sehen der Sterne aus Tiefen Brunnen", Vierteljahrsschrift der Naturforschenden Gesellschaft in Zurich, vol. 20, 1875, p. I79-180. See, F. Arago, ibid., p. 203-4. Mr. Theodor Meysels, art editor of Jerusalem Post, tells me that he has seen stars in day-time from the bottom of the deep shaft at Sodom, so that Israel may prove to be a most convenient place for carrying out such an experiment at this very time. Such a probability has been suggested by certain writers (see,. e. g., Houzeau, ibid., p. 853 and Sirius, vol. I, 1868, p. 63). See, G. Bigourdan, Histoire de I'Astronomie d'Observation et des Observatoires en France, Paris 1918, p. 22-23. * The late Professor Aydin Sayili (1913-1993) was Professor of History of Science at Ankara University, Turkey. This article was first published in the "Ankara Universitesi Dil ve Tarih-Cografya Fakultesi Dergisi", volume XI, issue, 1, March 1953, pp. 149-155.